As an entrepreneur, you might feel like the world of business is your oyster. While this is partially true, being your own boss is a double-edged sword. You have the freedom to do everything from design products and hire employees, but with this comes stress. Regardless of how much training or experience you have in the industry, every beading business owner is susceptible to some sort of anxiety at some point in their career. This occurs with increases in responsibility, which are bound to occur as a beading business grows and expands. Stress can cause you to lose your focus in the workplace, which can translate into a loss of productivity. In time, this can hurt your overall bottom line. But, business matters aside, you should also take into consideration how work-related stress can impact your personal life and health. If you're constantly struggling with anxiety, you're likely sleeping less. This can lower the efficiency of your immune system as well as make it harder for you to concentrate while you're awake. People who are regularly stressed may also see a strain in their relationships with loved ones. Putting extra hours into your beading business may take away from time that you could be spending with your family and friends. Entrepreneur.com says that there are a few signs that you can look out for that will let you know if you're going overboard. Even the most productive, driven business owners can unwillingly allow stress to seep into their lives and wreak havoc in a short amount of time. First, assess how much you enjoy working all of those extra hours for your beading business. If you're finding it difficult to see the silver lining in all of the hard work you're putting into your company, it might be time for you to take a step back and look at why it has turned into a negative situation. Entrepreneurship can be rewarding, but it can also become daunting if you let stress control your life. Next, take a look at how many creative projects you have recently launched. Have you found brainstorming easy or are you finding it difficult to put together a set of ideas? If you are burnt out from stress, you're likely struggling to get the creative juices flowing when your beading business needs it most. In this case, your extra work and heightened stress levels aren't helping anyone. There are also signs that your body will exhibit when you are under too much stress in the office, and they may show up when you're not in the workplace. If you're constantly feeling overwhelmed and finding it difficult to put things into perspective, stress may be playing a key role in your lack of productivity. You may also become more irritated and struggle to sleep at night, which can have a negative effect on your overall health. If you have begun to notice that your beading business is taking a toll on your life, the New York Times reports that there are a few ways that you can take back control. First, identify the real problem at hand. 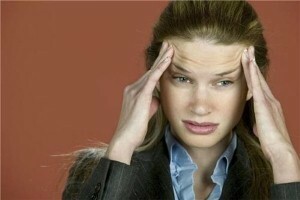 Is it a specific person who is stressing you out at the office or is it a deadline? Honing in on the issue is the first step toward approaching a solution. Next, remind yourself that you're not the only entrepreneur who has ever run into a problem in the process of operating a small business. If you're too hard on yourself, you'll slow down the problem-solving process and increase your stress level. It's important to remember to forgive yourself and understand that everyone is prone to making mistakes. This can help you improve your mood and put you in a better position to tackle the problem. Finally, step back and take a look at the situation from afar to put things into perspective. Sometimes, all you need is a breather to come up with a solution for the problem at hand. If the stress caused by your beading business is constant, the Mayo Clinic says there are a few things you can do regularly to keep these anxiety levels from spiraling out of control. Take up a deep breathing exercise or enroll in a yoga class to meditate your stress away. In the end, confronting the issue will help you live a happier, healthier life.